The wonderful location of Clovelly is steeped with history, enchantment and beauty. Famous for its steep cobbled streets and whitewashed cottages which are adorned with brightly, decorated window boxes and hanging baskets. A village which everyone should visit and one which will never disappoint. As you wander down the winding street you take in the ambiance and and the timeless aura which surrounds you. The sense of peace and tranquility and the sheer beauty is just astounding. It is no wonder that this delightful fishing village with its boats and harbour and its richness and vibrance has been captured by artists and photographers alike. Wandering down to the sea the appeal of Clovelly is apparent in all its glory. serenity which very few places give. 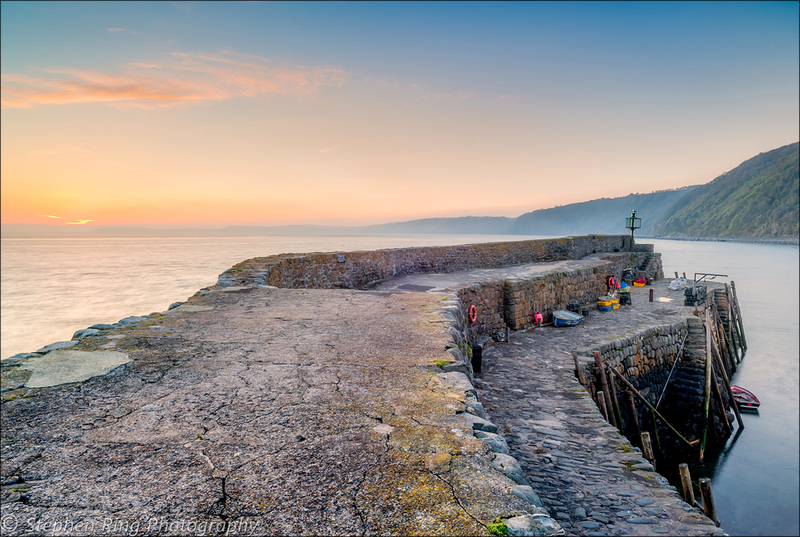 For me the early morning sunrise at Clovelly is the thing that entices me the most. At that time of the morning there is a sense of solitude and tranquility which you would not get at any other time. The colours over the bay are awe inspiring and give me such inspiration ,that I am driven to re-create this feeling. location to myself and it gives a me a perfect start to hopefully a perfect day. Clovelly because I can assure you that you will not be disillusioned. 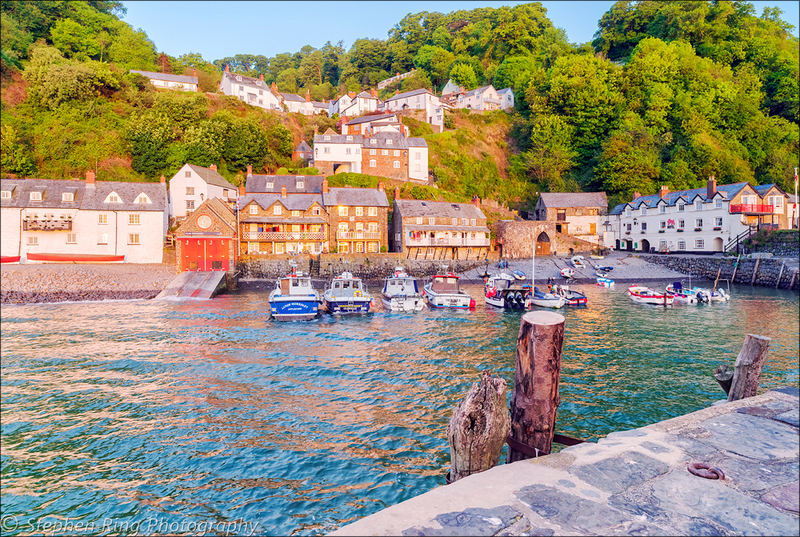 For more Images and High Quality Canvas, Prints of Clovelly.